Known for their highly sophisticated and culturally-influenced designs, the architecture in Thailand is without a doubt impressive. From opulent temples to jaw-dropping gold-laden statues, this country is the home to some of the world’s most intricately planned structures. But temples, monasteries and huge statues are not the only ones famous in Thailand. Within the city, the skyline is defined by marvellous towers and huge skyscrapers featuring not just beautiful but astoundingly unique designs. 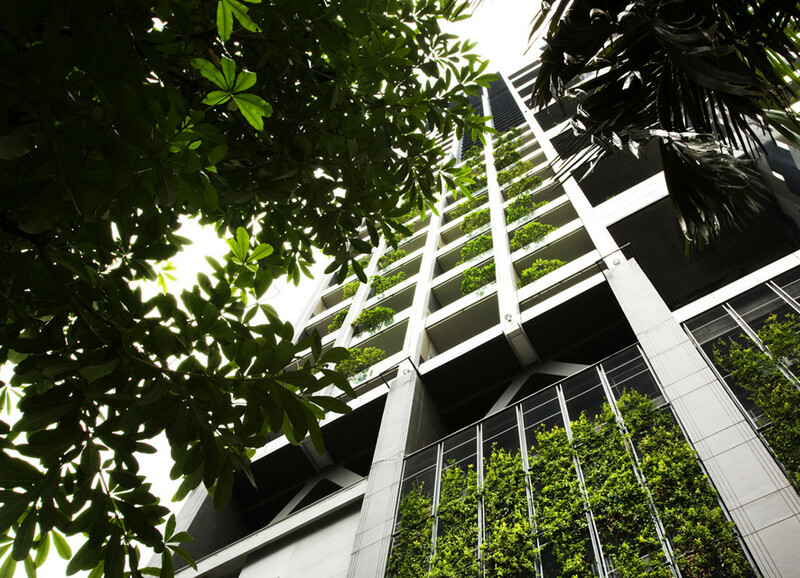 Designed by the German Architect Ole Scheeren, MahaNakhon is a mixed-use development providing residences, retail, hotel and an observatory in the heart of Bangkok. Located in the Silom business district, directly adjacent to the Bangkok Skytrain public transport system (BTS) and Bus Rapid Transport System (BRT), MahaNakhon is Thailand’s tallest building. MahaNakhon means ‘Great Metropolis’ in the Thai language and integrates with the city through its organic form by dissolving the mass as it moves between sky and ground, flowing into the large outdoor retail spaces into a public landscaped square at the tower’s base. The development brings in several international brands including leading restaurants and dining adjacent to the main street. The inner city site is irregularly shaped, resulting in a 3-building program, the main 314m tower, a smaller retail building at the front of the site and an automated parking tower positioned towards the back. The form of the tower has a distinctive sculptural appearance which takes advantage of the tropical climate and views. The three-dimensional ribbon of architectural pixels cut away the façade of the tower to reveal the inner core, creating unique one of kind residences as well as special features such as oversized terraces and skyboxes, protruding out from the main building. The River is an 846 feet tall skyscraper in Bangkok, Thailand. It is located on the banks of the river Chao Phraya and hence derives its name from this. The building has around 70 floors of residential condominiums. Developed by Raimon Land, the project consists of two buildings, a taller south tower adjacent to the river, and a slightly smaller north tower which is offset from the front tower so that both towers can enjoy river views. The 74-floor The River South is currently the second tallest building in Thailand comprising entirely freehold condominiums. The 45-floor north tower includes a mix of both freehold condominiums either owned or rented and a section of the tower which is a serviced apartment operated by Klapsons. Other facilities in this building include a 120 m river promenade, gym, several swimming pools, gardens, and adjacent community mall retail space at VUE, also owned and operated by Raimon Land, which opened in 2012. The River has been recognized as a landmark development in Thailand, winning the prestigious Thailand Property Award “Best Luxury Condo Bangkok” Award as well as the “Best Condo Development” in 2012. This is one of the latest work by Stu/D/O Architects. In rethinking a 7-storey office building for a leading agricultural trading company, the Architects said that they envisioned a new workplace experience by approaching the design with a concept of the ‘rice terrace’ that becomes an architectural embodiment of the company’s philosophy and business operation. 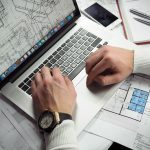 Due to various site restrictions such as setback regulations, height limits, and the unusual site boundary, it became necessary for the architectural massing to be efficient in order to fulfil the functional requirements of the company. This was resolved by shifting the mass of each floor to slightly different from each other, creating a series of overlapping cantilevers and terraces. The simplicity of the stacked terrace has become a sophisticated solution allowing the local flora and fauna of the outdoor landscape to permeate into multiple areas and functions of the architecture. 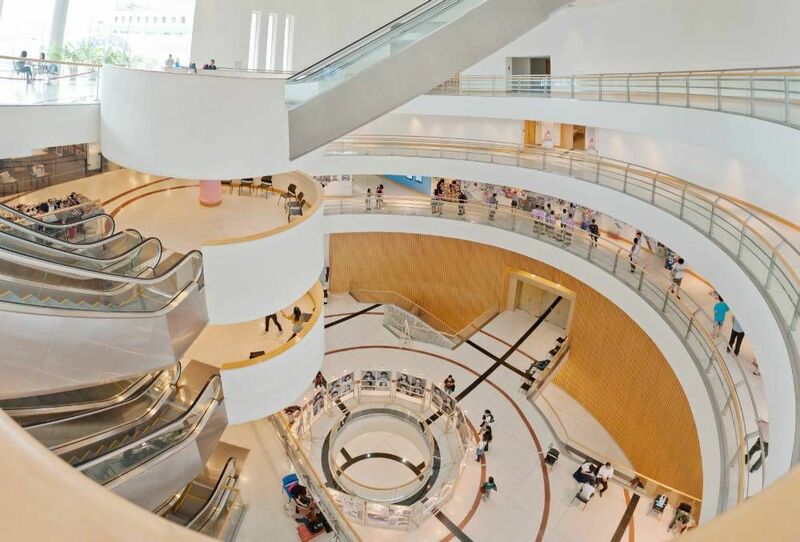 Siam Discovery is the biggest arena of lifestyle experiments packed with exhilarating experiences that say ‘come, play with us’ to visitors. 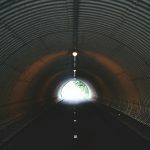 People can come in to experiment and discover what they like and what expresses their own identity best. 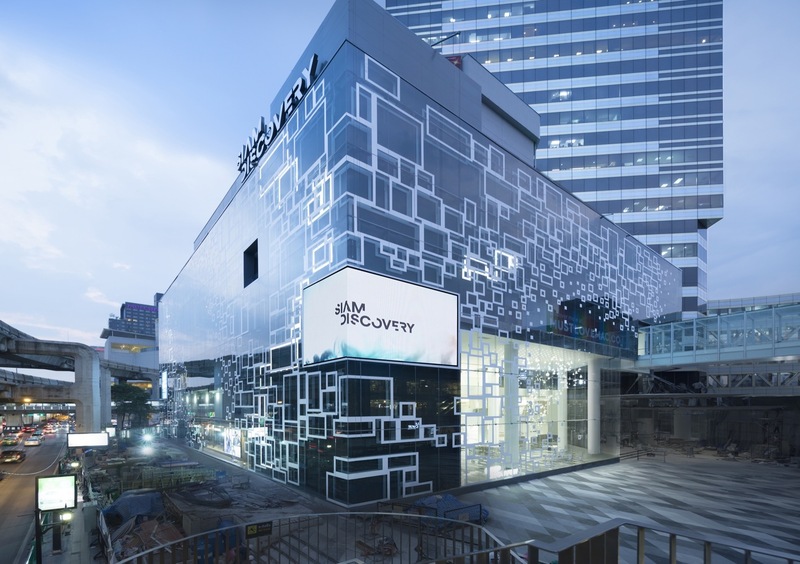 Without the constraints of a particular brand or school of design, products are brought together under a single universal concept that puts customers at the centre; everything at Siam Discovery is presented by visitors’ interests. From among a choice of more than 5,000 international and local brands of every price range, customers can conveniently choose, mix, match, try, and then try again so that their purchases are in line with their taste and needs. Bangkok art and cultural center (BACC) is a contemporary arts centre in Bangkok, Thailand. Art, music, theatre, film, design and cultural/educational events take place in its exhibition and performance spaces. The centre includes cafes, commercial art galleries, bookshops, craft shops, and an art library. This centre has an annual footfall of 1.7 million visitors. Arguably boasting of the most unique of designs is the Elephant Building. 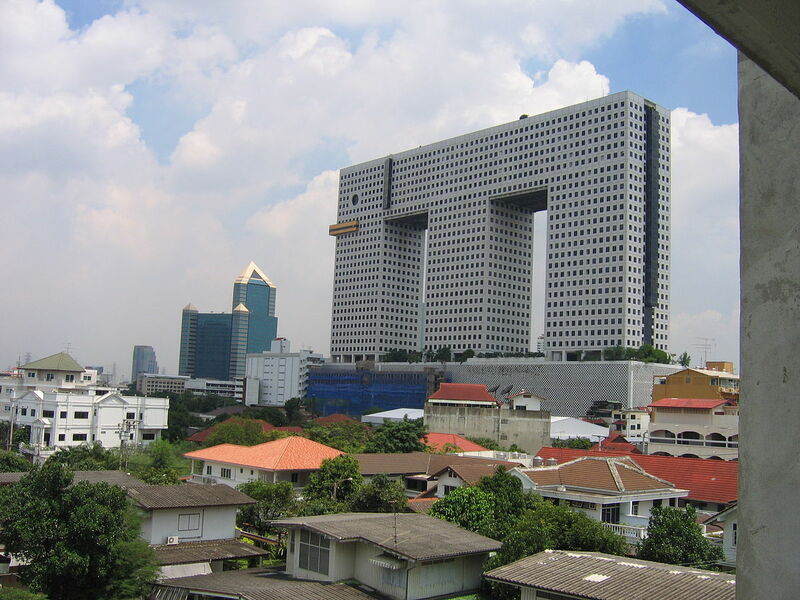 As the name suggests, the Elephant Building near Chatuchak is designed to look like just that: an elephant. The 102-meter-tall structure was built in 1997, and became one of the most talked about buildings in Bangkok and Thailand. 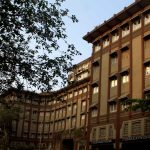 The building consists of offices and condominiums, and visitors can even be seen doing some shopping inside the elephant structure. The elephant is Thailand’s national animal, which may be why the building was made to look like it does. The Pano is a 57 storey riverside condominium located in Bangkok. It is the 13th tallest building and 4th tallest residential building in Thailand. It has a height of 219 metres and 57 floors. It contains 397 condominium units and is composed of two wings, the Sky Wing (high-rise) and the River Wing (low-rise). The Pano placed 4th on the 2010 Emporis Skyscraper Award, an award for architectural excellence regarding the design of buildings and their functionality. 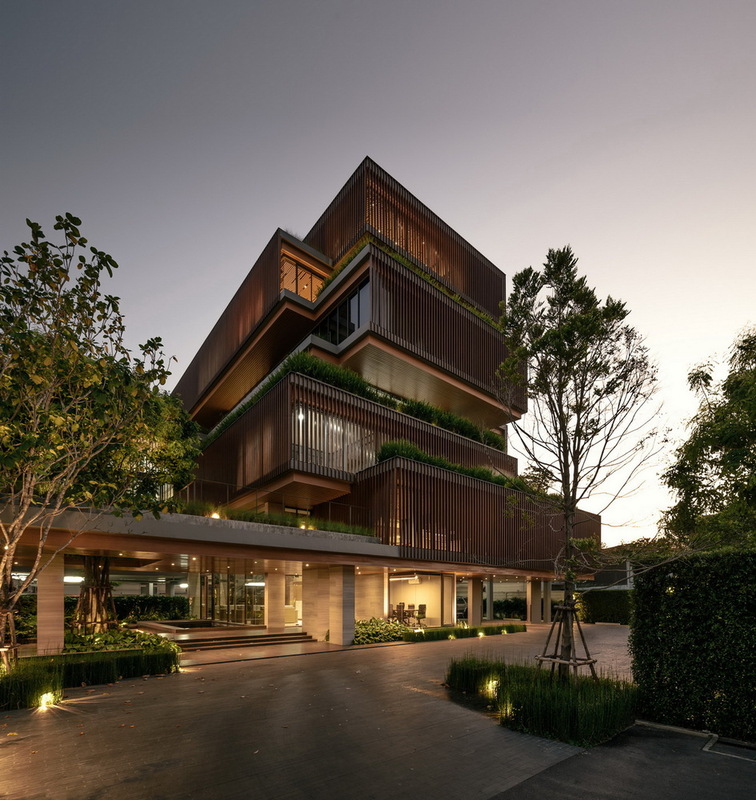 WOHA, the architectural firm, won the Singapore President’s Design Award for the project. 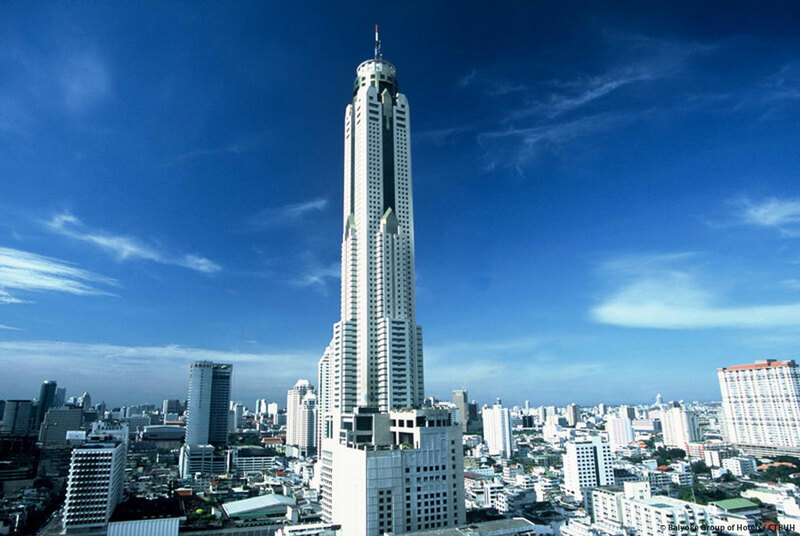 The Baiyoke Tower II, also known as the Baiyoke Sky Hotel, is currently the tallest building in the city of Bangkok. It is designed by Plan Architects. 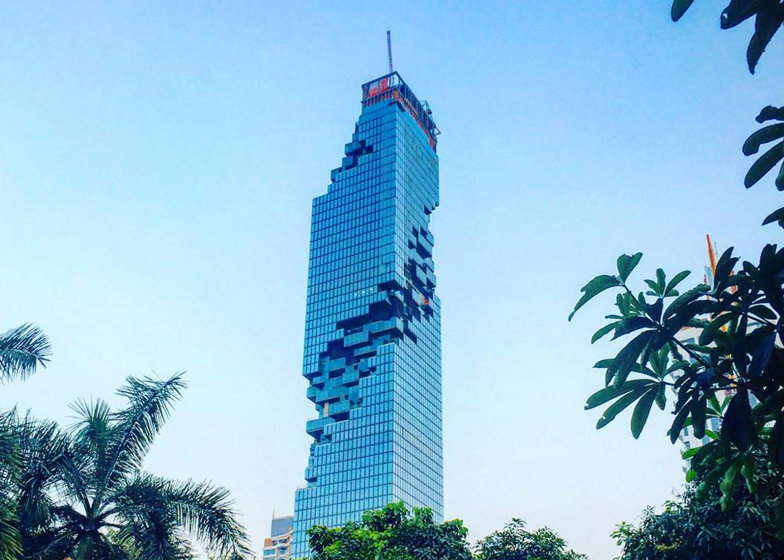 Following the success of its predecessor, the Baiyoke Tower, the 44 floors the Baiyoke Tower II was the first building in the city in more than 300m tall. 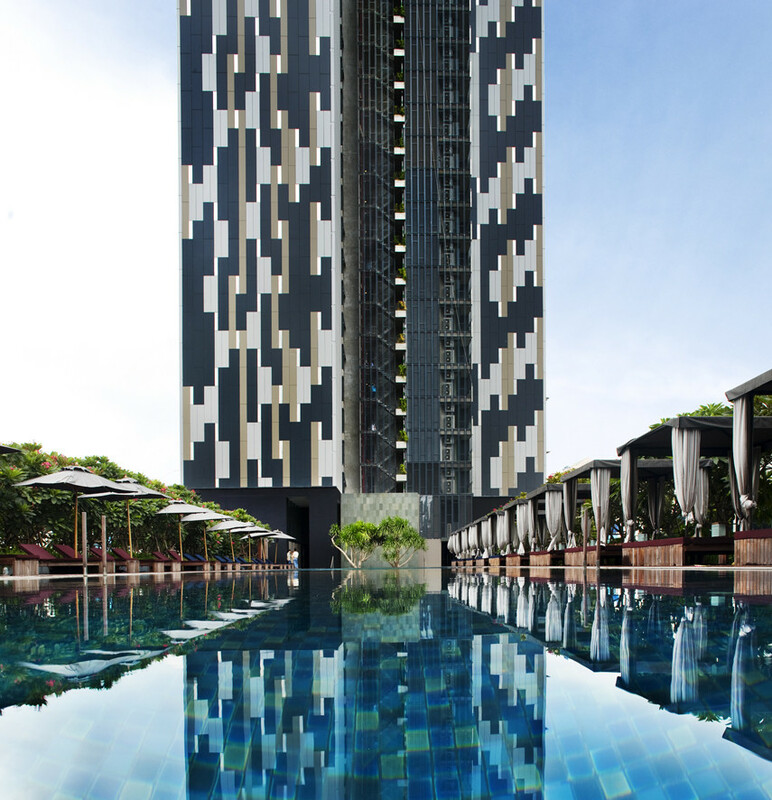 Strategically set in the heart of Bangkok, the Tower complements this exciting and energetic atmosphere. 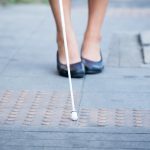 Rising on the horizon of Bangkok, it is as genuine a signal as the traditional icons of the Eiffel Tower and Empire State Building. The tower has 85 storeys in height and the 673 rooms of the hotel occupy floors 22 to 64. Further up on the deck of floor 84 there is a rotating observatory. The floor turns 360 degrees in this observatory in a time of 5 minutes, offering a spectacular view over the city. The structure of this tower is surprising, being built of high-strength reinforced concrete, and in its day was in the fight to be the highest concrete structure in the world. The design is inspired by traditional Thai forms— ceramic tiles, textiles and timber paneling—abstracted and used as a way to organize forms. 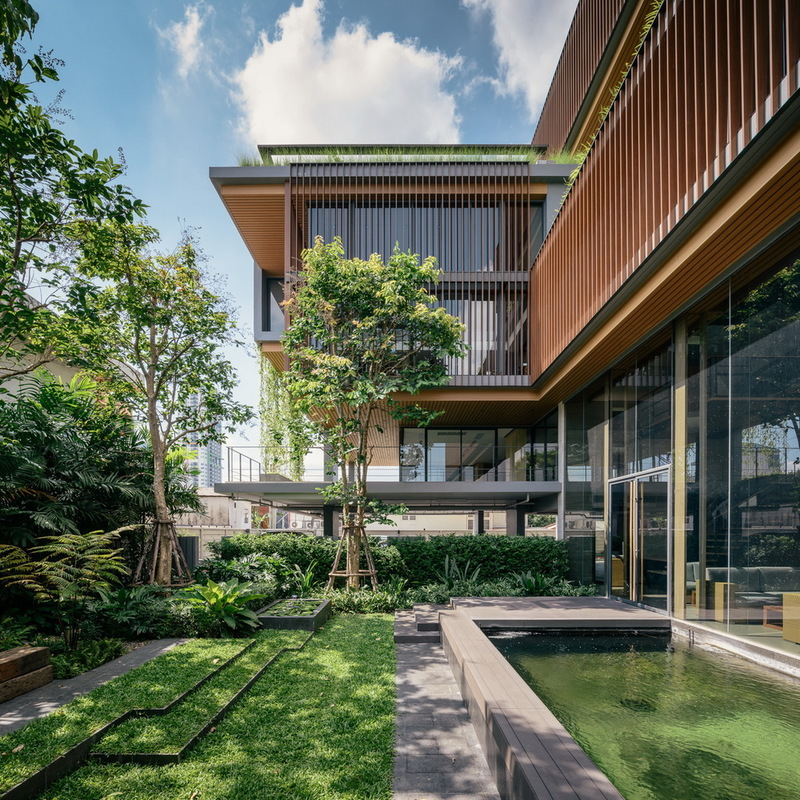 The cladding, for instance, uses temple tiles as inspiration, while the staggered arrangement of the balconies recalls the Thai teak staggered panelling on traditional houses. The walls incorporate random inserts of faceted polished stainless steel, a contemporary interpretation of the sparkling mirrors incorporated into Thai temples, returning this delightful glittering effect at a scale appropriate to the vast city. The design achieves tropical houses in the sky with breezeways, full exposure to light and views, outdoor living areas, planters and high-rise gardens, and open-air communal terraces with barbeques, libraries, spas and other facilities. These sky terraces, both private and public, link the blocks every five-stories, creating dramatic yet human-scaled external spaces in the sky. The building is planted on every horizontal surface. Additionally, vertical faces are shaded by green creeper screens, rising up. Balconies are provided with private planters. All apartments are cross ventilated, and all face north and south. The staggered block arrangement gives all apartments access to light and air on all four sides. The design encourages and makes it possible to live without air conditioning. Common areas are spread throughout the towers, offering inhabitants a variety of experiences, from the intricately designed carpet of water, stone and vegetation at ground level, to the extensive indoor-outdoor facilities at the pool level, to libraries, barbeques, and function areas at sky terraces that share the spectacular views from the highest floors among all the inhabitants. 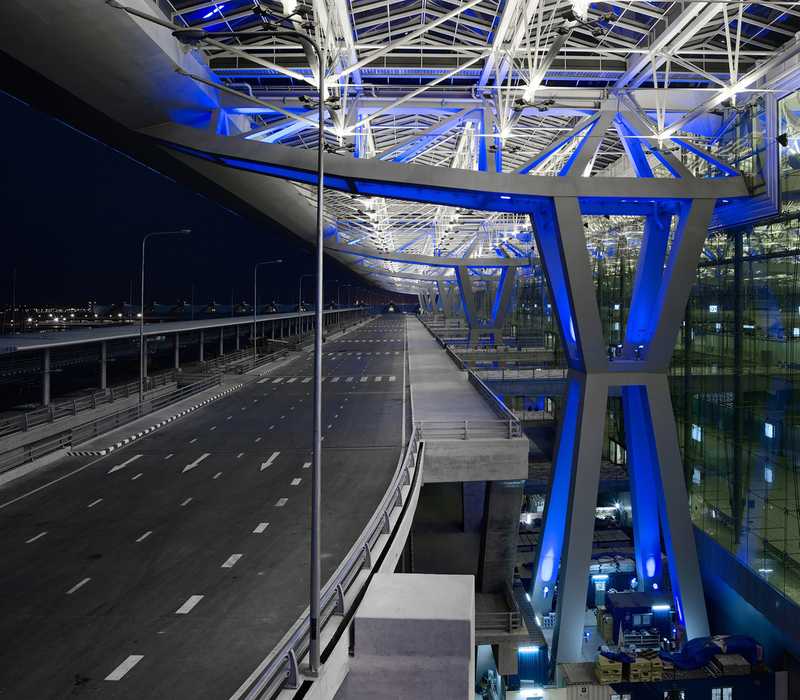 The Suvarnabhumi Airport is constructed on a greenfield site 24 km east of Bangkok. 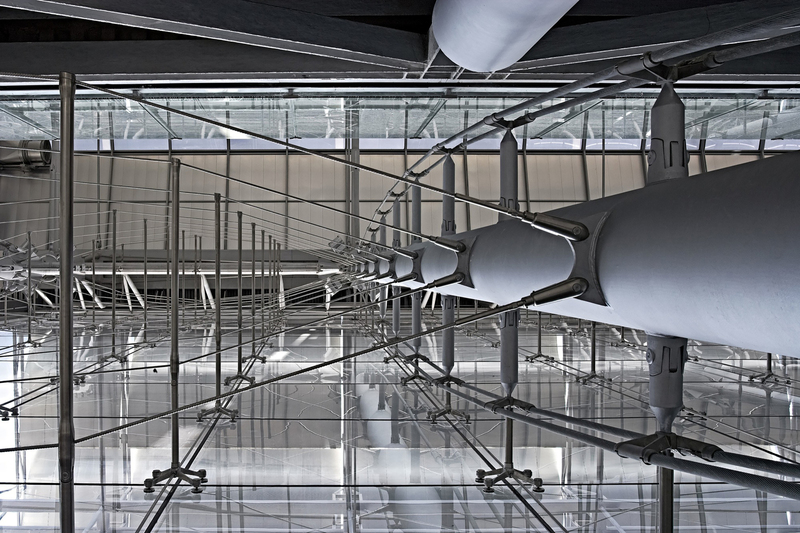 Designed by Chicago’s prolific Architect Helmut Jahn, the first phase accommodates 45 million annual passengers includes 56 contact gates and 64 hardstand positions with 563,000 SM of terminal facilities. Planned maximum capacity is 120 million annual passengers. A large roof trellis structure placed over the complex of functionally separate buildings unifies the site and provides the predominant architectural image as approached from the landside. Designed to accommodate future growth of the terminal pavilion, the trellis serves an important function by shading the structures below from direct sunlight, thereby reducing mechanical loads. 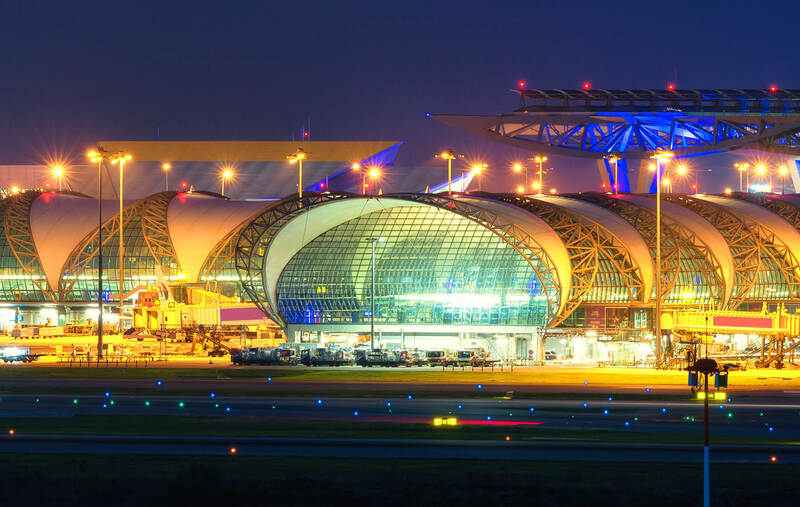 The planning of the Suvarnabhumi Airport is a masterpiece of interdisciplinary work between architects and engineers. The complexity and the size of the airport asked for new architectural and engineering solutions. 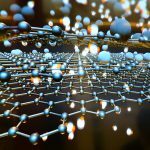 The goal to create a low-energy-need building and to design a building at the cutting edge of state-of-the-art technology required a very strict and close cooperation between all disciplines. The results are convincing, surprising and sometimes, breath-taking. 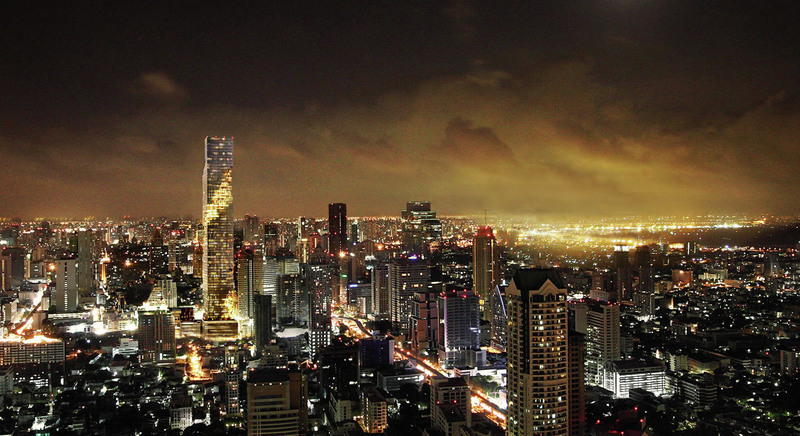 So the next time you visit Bangkok, make sure you tick these buildings off your list!